Product name "Passive Selector PS-01"
If you do not listen to LPs, this selector is the best performing passive “pre-amp” for the money. There is no amplification in this passive “pre-amp” input selector. This passive “pre-amp” input selector does not have phono equalization and cannot be used to play LPs! There are three stereo input circuits; connect any high output devices such as CD player, tuner, TV or PC. There are two stereo OUTPUT circuits to connect to power amplifiers. You may connect either of the output pairs or both pairs simultaneously. Because you can connect two power amps, you can send the same sound to either one, or two rooms. Please - always turn down the volume control before switching to a different input source. REC output is fixed and not changed by the volume control. REC output jacks connect to the input source directly. You can connect a high quality amplifier to this passive “pre-amp” input selector and volume control chassis rather than purchase an expensive preamplifier; the only input source that won’t be available directly is for phono /LPs. 1) Please choose a 50KΩ resistance type for vacuum tube power amplifiers. 2) Please choose a 10KΩ resistance type for transistor power amplifiers. Please be careful about the gain of the power amplifier. High gain amplifier(recommended range between 0.1Volt and 1Volt) is desired because this device does not have booster circuit. In the case the power amplifier gain is low, there is a possibility that output level is not enough. 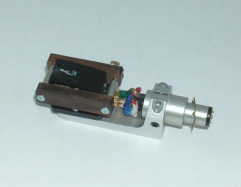 ・SELECTOR(INPUT) 1,2,3 : CD Player, PC, Tuner, Television, etc. 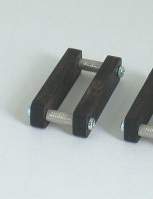 Product name "Wooden belt "
A metal part has to install it not to touch the terminal of the cartridge. Please tighten it by power having weak finger-tip. There is a big effect when used for Kotetu and Spirit. It can be used for the cartridge of other companies, but please confirm size. This band reduces the resonance of the cartridge and increases weight. This band stabilizes the sound quality of the cartridge and becomes the high-grade sound. 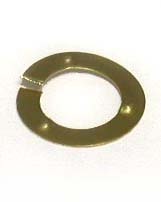 As for the general shell, a rubber washer is used for a connection point. 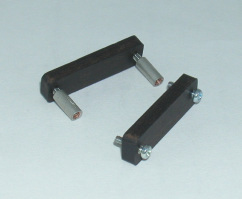 Because this rubber washer is tender, the point of contact makes it vague, slight movement occurs. 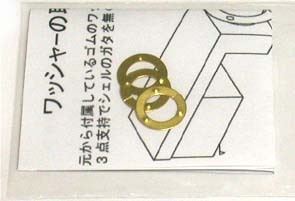 Replace the rubber washer of the head shell with a 3 point contact metal washer. The head shell is securely fixed by 3 point contact metal washer. 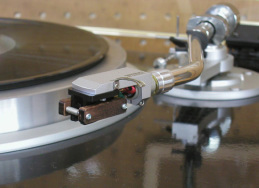 Three point contact of the metal washer removes the ambiguity of the contact and changes to clear and speedy sound quality.